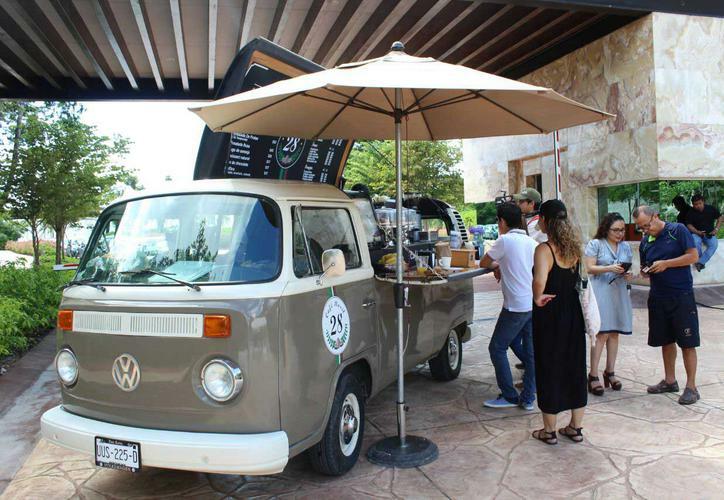 The Second Food Truck Festival within the facilities of Ciudad Mayakoba will take place in Playa del Carmen, Quntana Roo on September 16. This is a free admission event that will feature the participation of the private initiative, local entrepreneurs and municipal authorities. 20 adapted vehicles with a Mexican theme will take place in this event where different gastronomic proposals will be offered to all attendees looking for a new option for Dia del Grito. This is a 100% family event with a variety of food trucks, which for the second time expects around 1500 attendees. “Admission is free and each vehicle will prepare a special dish to commemorate the Mexican Independence Day,” said Eduardo Hernandez, Marketing and Communication Director of Mayakoba during the presentation of the event to the members of the press. Activities will start from 6:00 in the afternoon and until 11:00 at night with an entrance of the residential development, where also a playground will be installed, a versatile live music group and the participation of a mariachi.